Thirty miles east of Forcella’s domain, a team of like-minded folks are preparing for Appetite for Art, an annual fundraiser for an after-school art education program for local youth at the Boys & Girls Clubs of Wake County. CAM, Raleigh’s Contemporary Art Museum, will host the event Friday, April 17, and will feature live music, a silent auction, local art, food and beverages from a number of Triangle restaurants. Art created by Boys & Girls Clubs youth will also be shown alongside the work of hand selected professional artists. Educators, philanthropists, and entrepreneurs in our communities know the arts matter, but art education programs are often first on the chopping block when budgets are strapped. Less funding means fewer opportunities for kids to engage with the arts. Boys & Girls Clubs helps to fill this void for children who might not otherwise have an opportunity to participate in arts education. Laura Casey, an art educator for 13 years and current teacher at Cameron Park elementary in Hillsborough, North Carolina echoes this sentiment. “The arts empower students at all ages and skill levels to be more confident and independent,” said Casey, who believes the arts help kids think critically, collaborate, communicate, and problem solve in a way that fosters happiness, fun and self-confidence beyond the pass/fail oriented model often present in standardized testing. The arts can provide kids who struggle in other subject areas an opportunity to excel, experiment and actualize their own creative vision- skills that translate to realms far beyond the canvas. In this week’s edition of Bit+Grain, you meet the volunteers making Appetite for Art happen, and Taylor Meadows, chair of the event and a volunteer art educator for the Boys & Girls Clubs of Wake County, who speaks to why art education matters to her. Taylor Meadows is a co-chair of Appetite 4 Art. Art captivates my imagination and inspires me to create my own world wherever I land. It always has. My mother used to tote me in her arms to the North Carolina Museum of Art where I would stand in front of paintings and try to draw the image with a worn colored pencil, soaking in each detail and contemplating each unique story. Many childhood memories resemble remnants of chalk on an erased chalkboard, edges are softened, shapes are blurred, and only a trace of what once was remains. The trips to the art museum, though, remain clear. I’ve fostered my love of the arts as a performer throughout my life, and when I moved to Raleigh from Charlotte in 2013, a city oozing with creative energy, I wanted to share the inspiration that the city and the arts gave me. I found the Boys & Girls Clubs of Wake County where I volunteered to teach a photography class for the Girls Club of Raleigh. I wanted to teach girls a different form of expression. With photography, the girls can explore their dreams through the lens of a camera, sharing them candidly and confidently. Last year during a lesson, I had each girl scribble down what beauty means to them, encouraging thought beyond outward appearance. I was moved by their responses. Their answers were simple and meaningful. One girl wrote flowers, another wrote family, another wrote her heart. Their responses exceeded what I expected an elementary and middle school student would say. Photography, and other art classes at the Club, gave these kids the language to recognize beauty in themselves, in their family and in the world around them. I’m humbled by the way the community has come together to support the Appetite for Art fundraiser. As the event draws closer, I find myself thinking about the boys and girls at the Clubs who will be able to enjoy art like I did when I was their age. They will have the opportunity to recognize and utilize their creativity to further their ambitions. When I spend time with the girls, I smile knowing that the childhood memories scribbled on their chalkboards will be influenced by art. Here at Bit + Grain we love a North Carolina grown, family run business and If It’s Paper stands tall among those gems. If It’s Paper was born out of a former Dillard Paper Company retail store but was purchased by triad resident, Sherrie Stewart, in 2010, after the parent company began shutting down local stores. Sherrie set her sights on reviving and reinventing the business as a local source for quality paper products and excellent customer service. The If It’s Paper we know today opened its flagship store in 2011 on Battleground Avenue in Greensboro. Sherrie’s daughter, Elizabeth, after falling in love with paper and retail, joined the family business and opened the Raleigh location in September 2013. 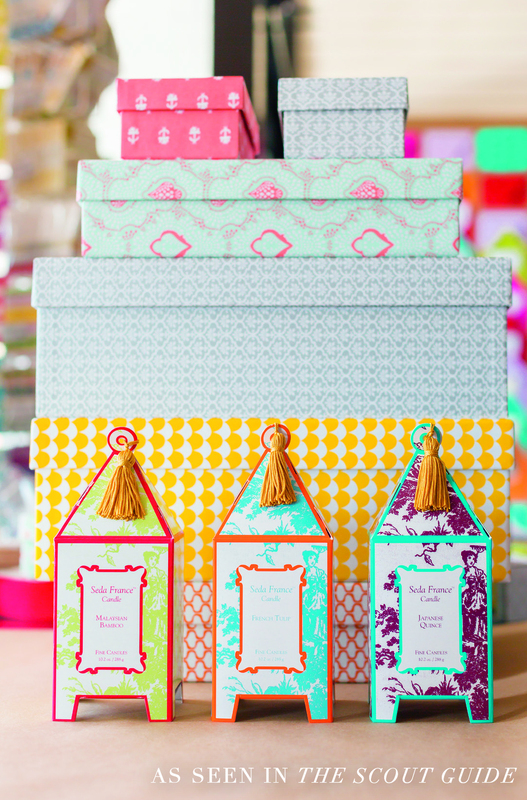 If It’s Paper is your go-to source for traditional printing papers, specialty papers, stationery and invitations, unique gift packaging items, DIY projects, catering and food service options, and gifts. Not to mention, If It’s Paper is equipped with a team of the finest customer service folks in the industry. You can enter each of their stores assured you will receive service from a knowledgeable staff member who will make you feel valued and welcome. “If it’s paper,” you can find it at the Greensboro or Raleigh location, but that’s not all: they’ve got everything you need to plan your perfect event in easy steps. Pick up a Rifle Paper notebook for all your party planning notes. Select the perfect invitation to fit your budget with the help of a friendly and knowledgeable team member. Pick out your place cards for your dinner seating arrangements. Grab any catering and food service products, straws, napkins, and placemats, to style chic tablescapes. Elevate your party favors by sending your guests home with a Nest candle; they’ll remember your evening together for weeks to come. 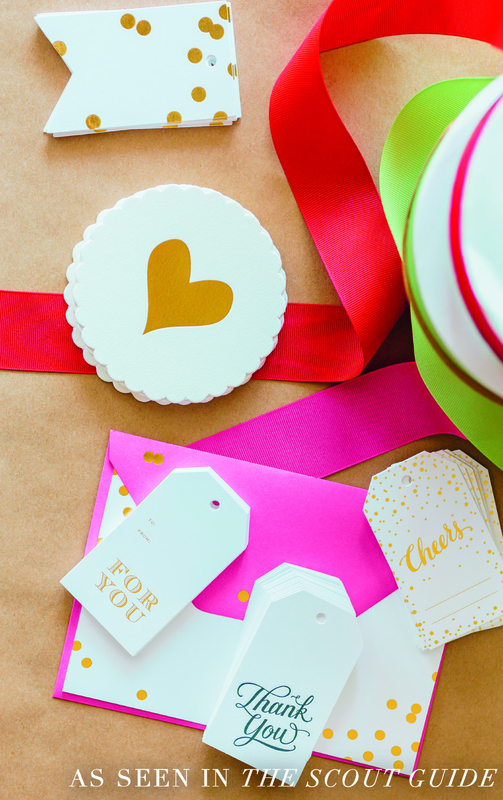 Choose or customize stationery to send guests and vendors a quick and thoughtful thank you for celebrating with you.